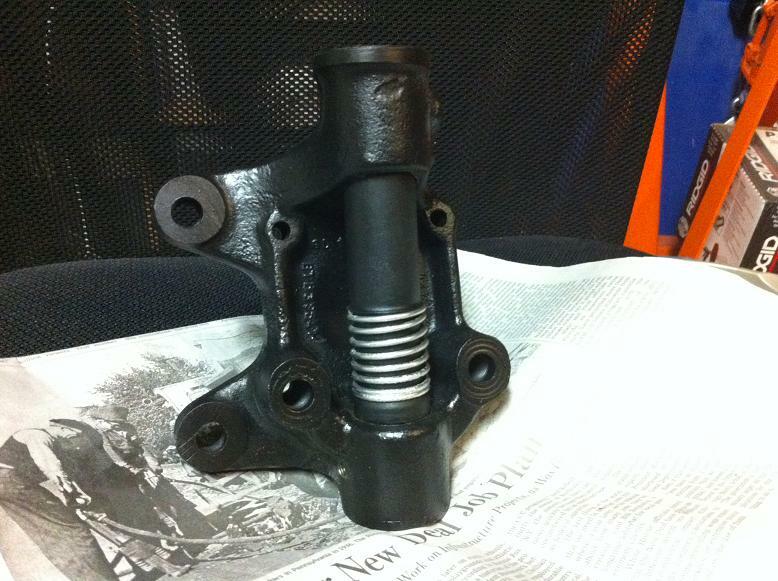 9/10/2010 All front end parts painted and reassembly begins. 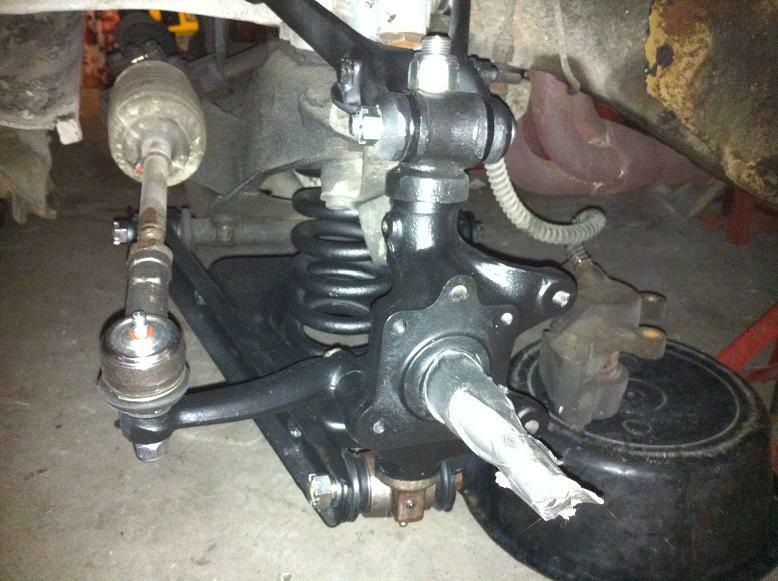 Over the last couple of days, on my breaks between studying, I have managed to finish painting the remaining front end parts, reassemble the spindle assemblies and get one side of the suspension back together. And just like that it's back together. The bolts need to be torqed down and there's cleaning I'm going to do before I put the hub and wheel on. Now we're getting somewhere though! !